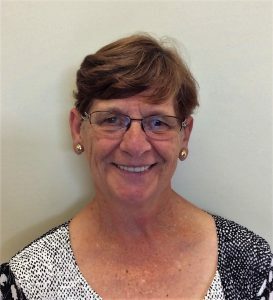 I have over 30 years experience in community based disability services, having been a key figure with the Gladstone and District Combined Handicapped Association, which became GCLA in 1983. I have four adult children, one of whom was born with Autism and an intellectual disability. My passion and drive to see people who have a disability become integral, valued members of our community has also led to my appointment to a variety of local and state community based boards. In 2014, I was honored to be awarded Gladstone Citizen of the year. I have held different roles within the GCLA Board and feel very privileged to serve as the President for the past 10 years. 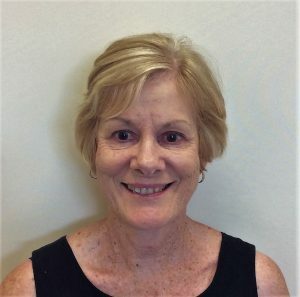 Apart from GCLA, I also serve as an active board member of Parent to Parent Qld and in the past, on the Disability Services Regional Council, Education Queensland Advisory Council, Gladstone District Respite Care Association, known as Mainstay Respite House, and Rosella Park School P&C. Driven by a person-centered practice, I am excited to see GCLA move forward into the NDIS and continue to be a leader in the Disability and Aged Care sectors. As President, I am committed to ensure GCLA customers continue to receive Individual Personalised Support. It gives me great pleasure to be involved with GCLA, a BEYOND ordinary local, respected, community organisation. For the past 30 years have been involved in the disability sector. For 15 years I worker for Disability Services and aided the community in establishing a number of services including: Two respite facilities, toy library, community access service, accommodation support service and Women’s health. I have also been on the board of the Health Council, Gladstone Foundation, Parent to Parent and involved with Communities for Children. My interest in disability stemmed from having family members with a disability and a desire to have an inclusive community where everyone is valued. With the arrival of the NDIS I look forward to assisting GCLA in ensuring that people with a disability and older citizens have choice and control over their lives. FCPA Accountant with a Business Degree and over 20 years commercial experience in business finance, financial analysis and reporting, commercial negotiations, budgeting, cost control, compliance, taxation, small business management, training and leading teams. An experienced finance professional with practical industry experience in commerce, operations, projects and joint ventures. Highly motivated and passionate individual with a ‘can do’ attitude. High achiever with outstanding integrity, diligence, communication skills and customer focus. Demonstrated commitment to safety, quality service, professional standards and continuous improvement. Proven ability in change management and to work autonomously, lead teams, implement training initiatives, be self-motivated and highly productive. Proven success in contract negotiations identifying and implementing process improvements and in building strong working relationships nationally and globally to enable and exceed the achievement of business goals. Personable and adapts easily to new environments and changing priorities. I moved to Gladstone with my wife Lyndal and first daughter Pia 38 years ago, relocating from Maryborough for work. My second daughter Annika was born in Gladstone. Together, we both have two granddaughters Georgia and Isabella. Pia is married to Jeff and Annika to Trent. We all still call Gladstone home. I am extremely proud of the region with its blend of industry, opportunity and environmental commitment. I believes that we have it all in the Gladstone Region, from the beautiful beaches of Agnes Water/Seventeen Seventy and Tannum Sands to the scenic views of the valleys, mountains and the islands, coupled by the existence and potential of our great harbour. The region has enormous community pride and spirit. I have been involved in the community extensively, worked in major industry for 19 years and owned and managed a small business for 19 years. 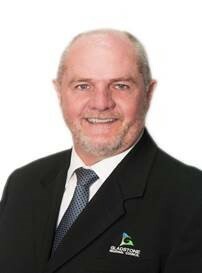 I have represented the community in Council since being first elected in 2006. I fully understands the business of Council from Planning to Community and to Finance. I have held the Engineering Services and Corporate and Governance portfolios and i am a member of Council’s Business Improvement Committee as well as many other committees. I have extensive knowledge of Small Business being Vice President of the Gladstone Chamber of Commerce and Industry. 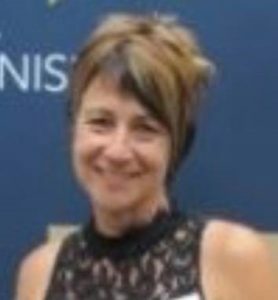 I was a previous President of the Port Curtis Day Respite (Aged Care) which is now part of the GCLA and a life member of Gladstone Basketball and have been involved in Rugby League. I am a member of the Gladstone Sunrise Rotary club.